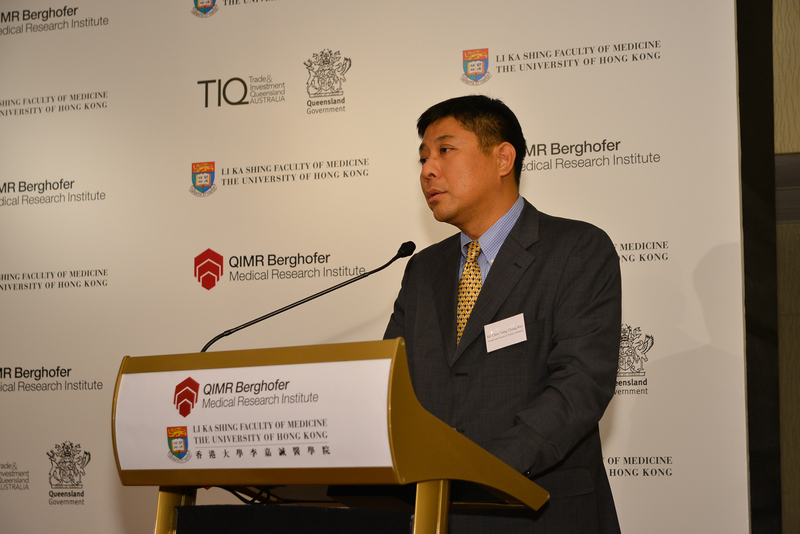 ZeShan Foundation has been supporting cutting-edge cancer research and training in a collaboration between Australia's Queensland Berghofer Medical Research Institute (QIMR Berghofer) and Hong Kong's Li Ka Shing Faculty of Medicine, The University of Hong Kong. 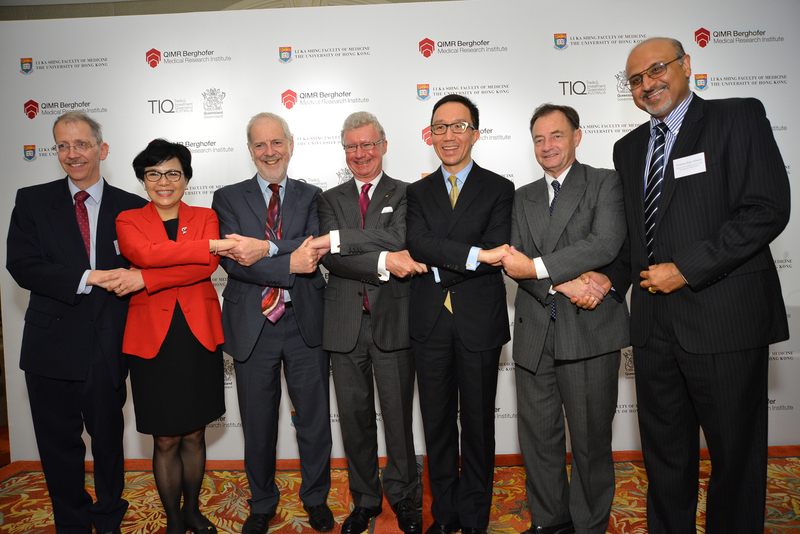 The knowledge and technology transfer will give Nasopharyngeal Carcinoma patients in Hong Kong and Australia access to ground-breaking cancer treatment, as well as provide training for Hong Kong post-doctoral fellows so as to build up local capacity in cancer research and treatment. What is Nasopharyngeal Carcinoma and immunotherapy? "Heal Thyself": Immunotherapy for "Cantonese tumor"
The cancer research targets Nasopharyngeal Carcinoma (NPC 鼻咽癌), an aggressive upper respiratory tract cancer common in East Asia. In fact, it is so prevalent in Southern China that it is nicknamed "Cantonese tumor" (廣東瘤) - it is the 6th most common cancer for Hong Kong males. The research is on immunotherapy (免疫注射療法), a cell-based treatment that prepares a patient's own immune system to fight the cancer. In this case, scientists extract killer T-cells - a type of white blood cell which some call the "cancer assassin" - and prime them in the laboratory. The cells are then infused back into a patient's body. The "trained" cells now target and attack malignant cells - in this case those infected by the Epstein-Barr (EBV) virus in NPC tumour cells - while leaving normal ones intact. It is hoped that the immunotherapy, as compared to standard treatment such as radiotherapy and chemotherapy, will be more effective in treating NPC, and at the same time avoid serious side effects such as deafness and loss in sense of taste. While immunotherapy is a relatively new form of treatment, experts -- such as Prof. Roy Herbst, chief of medical oncology at Yale Cancer Centre in the US, in media interviews in June 2015 -- have expressed hopes that it could potentially replace chemotherapy as the standard cancer treatment within five years. In 2008, ZeShan first supported the first phase clinical trial of the research. The trial took place from 2009 to 2012, recruiting 30 late-stage NPC patients from Queen Mary Hospital in Hong Kong. The results were very encouraging - not only was the therapy demonstrated safe, it improved life expectancy with overall survival rate of 523 days - compared to 220 days for patients who did not receive the treatment. In 2015, ZeShan renewed its commitment by supporting the second phase clinical trial. The trial, beginning in September 2015 and expected to complete in 2018, offers immunotherapy to another 30 patients - this time to patients in earlier stages of NPC in both Hong Kong and Australia. Patients will be given up to 6 killer T-cell infusions over 12 weeks, and will be monitored and given standard treatment if their disease progresses. The collaboration also includes a four-month advanced training for Hong Kong post-doctoral fellows to master scientific techniques of producing clinical grade killer T-cells, so as to lay solid groundwork for developing local talent in research and clinical care. The training will be conducted at QIMR Berghofer's manufacturing facility, Q-Gen Cell Therapeutics. The facility is the first in Australia to be granted regulatory approval by the country's Therapeutic Goods Administration to prepare clinical grade T-cell therapies. It is hoped that Hong Kong could eventually set up its very own accredited laboratory, so that the city can prepare its own T-cells instead of having them transported between Australia and Hong Kong. On August 28, 2015, the two institutes signed a memorandum of understanding (MOU) on a collaboration over cutting-edge cancer research and training, supported by ZeShan Foundation. The ceremony was attended by His Excellency the Governor of Queensland, the Honourable Paul de Jersey AC, among other guests. Mr. Roy Chen, Director of ZeShan, delivered a speech on behalf of the foundation. research in this 2012 ABC news report. cells in this video by Cambridge University.